That the present Nigerian government under the leadership of its president popularly known as the African Hitler Muhmmadu Buhari (AHMB) is guilty of acting in total disregard of the human rights of accused persons is no longer news. What seems to be unfathomable to most people is why the government takes pride in media trials of her accused persons rather than taking them to the law court to prove any charges against them. The DSS (DESTAPO – DSS) in her continued penchant for media trial had on the 2nd of July, 2016 released a press statement titled ‘’DSS UNCOVERS PLOTS TO BOMB COMPUTER VILLAGE LAGOS, WORSHIP CENTRES, PARKS’’ where the GESTAPO organization made insinuation that they have uncovered a plot to bomb Computer Village Lagos, Worship Centres and Parks and that one Chidiebere Onwudiwe, a graduate of Mechanical and Chemical Engineering was the lead brain behind the plot. Read also:WHAT CAN SEPARATE BIAFRANS FROM THE LOVE OF BIAFRA? NOT KILLINGS, INCARCERATIONS, NOR TORTURE. Its however unfortunate that the GESTAPO DSS in her haste to cook up ‘’something’’ against Mazi Onwudiwe did a very poor job with the content of their press release. If not, they would have known that Chidiebere is a very peaceful person who can’t take an innocent life, who hates injustices and loves freedom thus the claim of his alleged involvement in planning of attacks any where in the country is baseless, unfounded and mere imagination of the accusers especially since he has "business interest" in the supposedly Computer Village that the GESTAPO DSS wants the world to believe that he wants to bomb. Claiming that he intended to bomb ASO ROCK would have made better 'political reality'. For the records, Chidiebere Onwudiwe, who incidentally is the Biafra land coordinator of the Indigenous People of Biafra (IPOB) was kidnapped from his hotel room on the 22nd of June in River State for no known reason other than being an outspoken coordinator of IPOB. Chidiebere’s only known crime seems to be the interview that he granted Sun Newspaper which was published on Saturday 18th June, 2016 edition where he reiterated the guiding principle of the struggle for the restoration of the sovereign state of Biafra under the command of the IPOB leader, Mazi Nnamdi Kanu that even if ‘’the Nigeria security officials should kill every Pro-Biafran activist that it will not stop the struggle or the coming of Biafra and soonest too." It seem that the GESTAPO organization was taken aback by the audacity of Mazi Onwudiwe to speak with such boldness and to dismantle the lies in certain quarters that the cold blood murder of over 140 armless Biafran youths at Nkpor on the 30th of May, 2016 have diminished the quest and resolve of Biafrans especially those living in Biafra land to continue with the struggle. Our source within the DSS equally confirmed that the GESTAPO organization was disappointed that Mazi Onwudiwe busted the report that they (GESTAPO - DSS) had given President AHMB. Our source showed evidence to confirm that the GESTAPO outfit had assured AHMB that based on the way and manner that they ‘’dealt with miscreants called IPOB’’ through (very high rate of killings and terminal injuries inflicted) on the group that they can bet their "2 months salaries" that the agitation for Biafra was dead and buried. The top hierarchy in the organization were however alarmed at the audacity of a ‘’small boy and an unknown entity’’ like Mazi Onwudiwe to rubbish their bets and chest beating assurance before AHMB almost immediately that it was made. Read also:WHAT IS LEFT TO CONSIDER IN NIGERIA WHEN BIAFRA HAS ALL IT TAKES? Chidiebere was reported to have said during the interview that ……. ‘’We (IPOB) are not in the habit of exposing our approach but be rest assured that we will continue to bring the might of the international opinion and condemnation to weigh on this murderous regime. In our usual manner, we have presented all evidence to every institution on this earth capable of bringing Buhari to account and they are working on the information in their possession. The world is no longer a place where a DEMONIC DICTATOR will live without being answerable to the crimes he committed against innocent civilians. The world is on our side because the manner of barbarism witnessed at Nkpor on the 30th of May is shocking even by the primitive standards of brutai African leaders. Every person involved in the killings of IPOB family members on that fateful day will be hunted down and brought to trial from Buhari to Obiano and all those that pulled the trigger. We know where their children are and someday they too will bury their own children since they have no regards for the lives of other people’s children’’. The above was Mazi Chidiebere responses to the question by the interviewer asking ‘’What is your (IPOB’s) next line of action after the 30th May killings? 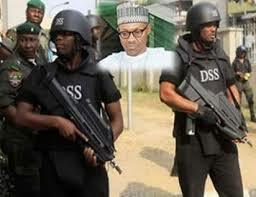 Do you intend to take the Army or other security agencies to court in Nigeria or international?" Our source is emphatic that decision of the GESTAPO outfit to kidnap Mazi Onwudiwe and keep him incommunicado for a very long time was based on the need for him to stop embarrassing them before AHMB after their the assurance to him of the death and burial of the Biafra restoration agitation. However, what the DSS failed to take note about Mazi Onwudiwe is that keeping him incommunicado for so long will not break his spirit. Chidiebere is a very mentally tough Biafran who has vowed to remain unmarried until the coming of Biafra because he does not forsee himself training his unborn children in a cursed entity like Nigeria. Its therefore in the interest of the Gestapo outfit to either release Mazi Chidiebere Onwudiwe or charge him to court if they have anything against him as his continued detention without trial is an infringement against his fundamental human right and his UN enshrined right to advocate and push for self-determination for his people. The standard practice worldwide is that the accused is charged to court within a reasonable period of time, incase he/she is found wanting in any way. Keeping him in detention without trial for almost a month further confirms the position of IPOB that Nigeria is truly a Zoo. Chidiebere’s right to fair hearing must also be respected and that can only be done by him having his day in court not by indefinite detention. Mazi Onwudiwe's continued detention without trial further proves what is known in all quarters that the GESTAPO outfit have absolutely nothing against him but are just desperate to please the African Hitler. However, GESTAPO DSS should know by now that His further detention will not break him nor make him give up on the quest for Biafra. Ditto for Mazi Nnamdi Kanu and other arrested innocent and detained IPOB activists thus it is clearly an exercise in futility.